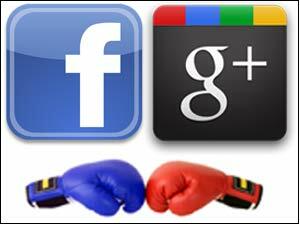 It has been a war after google plus have taken its place in social networking. It have been saying that google has copied everything from facebook and the features that has been used by facebook are same as been used by google new social networjing website. The social circles in my opinion is the most smart idea and feature in the Google plus social network, it allows you to separate your family, friends, business, and even create new circles and add people to it, this is just a dream came true, I have been always looking forward to a feature like this on Facebook, and probably this is why I am not into Facebook that much till today, I mean it’s just ridicules to share my stuff with family and business partners at same time! It’s obviously clear that Google planned the whole thing from the beginning, starting from it’s +1 button, then launching the new Google Plus social network. I just notice the new social network today, in the network you can easily share images, videos, links and your location on the stream. So, the +1 button was just an introduction and a beginning for a huge social network project by Google. Let us see in the future whi will win this wat as all popluar and top most companies are come to internet and web development. The future of web 2.0 application gonna be very bright that also help SEO people to earn up to the they want.